The size and the circumstances surrounding the contract have raised eyebrows among some outside observers. The contract with Wilmette-based Supes Academy is by far the largest no-bid contract awarded in at least the past three years, according to a Catalyst Chicago analysis of board documents. In addition, CEO Barbara Byrd-Bennett worked for the company as a coach up until the time she came on board at CPS as a consultant. There’s also conflicting information about Byrd-Bennett’s involvement with another company owned by the same individuals who run the Supes Academy. Andy Shaw, president and CEO of the Better Government Association, says that a large, no-bid contract such as this one deserves scrutiny. Wendy Katten of the parent advocacy group Raise Your Hand, whose group has tracked school budget cuts, is critical as well. The $20 million contract is the fourth awarded to Supes since October of 2012. The three other contracts include two for $2 million each and a third for $225,000 for consulting services. In 2011-12, the Chicago Public Education Fund paid for training of Chiefs of Schools and Network Chiefs. Education experts contacted by Catalyst say that the intensive training that Supes Academy says it will offer is needed and was a missing piece of the puzzle in the district’s efforts to get top leadership at the helms of schools. Yet in a city that is home to major universities and non-profit organizations that train and support principals, the for-profit Supes Academy got the contract without competition. (CPS considers the contract a “sole-source request,” the same as a no-bid contract.) The Supes website states that the organization runs similar academies in 14 school districts, most of them small. While the CPS price tag might seem steep, University of Illinois at Chicago professor Steven Tozer stresses that research proves principals are the best lever for improving schools. “It is an okay price to pay if Chicago can produce good leaders,” Tozer says. 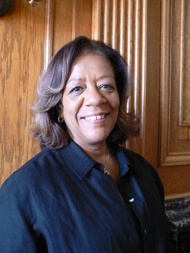 Up until April 2012, Byrd-Bennett worked as a consultant to the Supes Academy. At that time, she was brought on at CPS as the chief education advisor to then-CEO Jean-Claude Brizard, a contract position for which she was paid $21,500 a month. Byrd-Bennett is one of four contacts listed in the proposal for services submitted by PROACT in its bid to do a superintendent search for the Norwalk, Connecticut school district. She has an e-mail address listed in the proposal. When PROACT won the contract, an official for the company was quoted in the local newspaper touting that Byrd-Bennett, who by that time had been named as Chicago’s CEO, was a contractor with the firm. One board member for Norwalk schools objected to the contract, saying the district’s special education department needed the money instead. Board President David Vitale said he was aware that Byrd-Bennett worked for Supes prior to taking a job with CPS. PROACT Search had been awarded several small contracts with CPS prior to Byrd-Bennett’s arrival. Solomon declined to be interviewed by telephone and asked Catalyst Chicago to e-mail questions, but did not respond. Vranas also did not respond to a phone call or e-mail. This year, Synesi Associates attempted to partner with four schools in CPS to get federal School Improvement Grants, multi-million dollar grants given to low-achieving schools that partner with outside institutions to improve. But the Illinois State Board of Education, which administers the program, did not award the grants to any of the schools associated with Synesi. Instead, ISBE gave the grants to two schools that are partnering with the University of Chicago’s Network for College Success. Solomon does have a background in education. But in 2001, according to a Chicago Tribune news report, Solomon, then a dean of students in Niles, accepted a settlement with Niles Township High School District 219 after being accused of sending sexually explicit e-mails to students. He was never charged criminally and denied the allegations. Solomon went on to be a sales associate and then a vice president for the Princeton Review, a test preparation company, and counted CPS as one of his clients. Solomon’s marketing efforts stoked controversy in the Philadelphia school community. Vallas at the time was CEO of Philadelphia schools, but had no training or background in education other than his time leading Chicago schools—a job he took at former Mayor Richard M. Daley’s behest after being the city’s budget director. As for Vranas, his online biographies boast that he got his start by creating an urban tutoring program in Chicago that served 8,000 students. However, none of the biographies specify the name of the tutoring program and he did not respond to email questions about it. Vranas’ biography also states that he started a wireless Internet company, a sales and marketing company and a venture capital firm. None of the companies are named. Though the Supes Academy contract stands out because of its size, the Chicago School Board approves no-bid contracts on a regular basis. In some cases, CPS includes the reason why the contract did not go through a competitive process. In this case, as in some others, the board documents state only that it was approved by the chief purchasing officer. Vitale says the Supes Academy contract went through the district’s “extensive” no-bid contract process, in which officials look to see if other companies or organizations can do the job. Like all contracts that are not let through a competitive process, it was reviewed by the Non-Competitive Procurement Review Committee that has representatives from Procurement and Contracts, Law, Information Technology, the Chief Education Office and Chief Executive Office. Vitale says officials concluded two things made Supes unique: It has a roster of 125 sitting superintendents who can provide coaching to principals and network chiefs, mid-level administrators who oversee groups of schools; and it is the only organization in the country with an official superintendent certification program. Yet the certification issue raises red flags as well. For one, Illinois, like most states, has its own certification for principals and administrators, called a Type 75 certificate. The certification issued by the Supes Academy, through the American Academy of School Administrators, is an additional, unofficial certification that is intended to “sharpen the skills of superintendents.” In addition, the Supes certification was just launched in April of this year—and it was at least partly self-created, by Supes itself. Also, it is unclear why it is important for an organization that will train principals and administrators to offer a certification for superintendents. Tozer says the University of Illinois, which has a well-regarded training program for urban principals, would have looked into bidding on the contract had the process been open. Tozer had not heard of Supes until the organization had already been hired. Tim Knowles, director of the Urban Education Institute for the University of Chicago, also says he has not heard of the Supes Academy. Even as investments in other areas have been scaled back, CPS has put a priority on training principals and other leaders, considering it essential for improving schools. CPS is already investing $10 million in the Chicago Leadership Collaborative, an initiative in which the district is partnering with two universities and two organizations to improve principal preparation. When Vitale worked for CPS as the chief administrative office in the mid-2000s, he says he felt as though good professional development for principals was a “big gap.” Mostly, principals were offered one-off sessions in big auditoriums. The Supes Academy was originally brought in to work with network chiefs. One former network chief, who asked not to be identified, says he found the Academy workshops and his assigned coach to be helpful. He says the network chiefs never had professional development and were asking for it. “We wanted to know how to grow and we really wanted some context from outside of the district,” he says. Yet he notes that he is skeptical about how well that extensive support can be ramped up to be effective with 400-plus principals. Carlos Azcotia, a board member and a professor at National-Louis University, says he does not know the specifics of the contract with the Supes Academy, but adds that it is generally important for the principals and network chiefs to have the same goals. Azcoitia was not at the June board meeting and did not vote on the Supes contract. Tozer says that he agrees with the strategy CPS is taking and notes that for the last decade, the district has tried to improve training–but none of the efforts brought large-scale change. “With the Chicago Leadership Collaborative and now the [Leadership] Academy, they are trying to raise the bar higher,” he says. The principals who attended the first Supes Academy sessions in July said the language and messaging were good, Tozer says. CPS spokeswoman Kelley Quinn says that Supes will provide the most comprehensive leadership development ever done in the system and that through coaching, principals will get “differentiated” support. Principals will attend 10 workshops throughout the year and will be contacted by the coach weekly. Crooks in Chicago? Bathhouse Barry Hussein’s hometown? No way. Killery’s vast right wing conspiracy telling kies again.